The former Army reservist reached out to the charity in 2016 after suffering with his physical and mental health during a tour of Afghanistan. He enrolled onto their Zero to Hero training programme and has been a champion of the organisation’s work ever since. 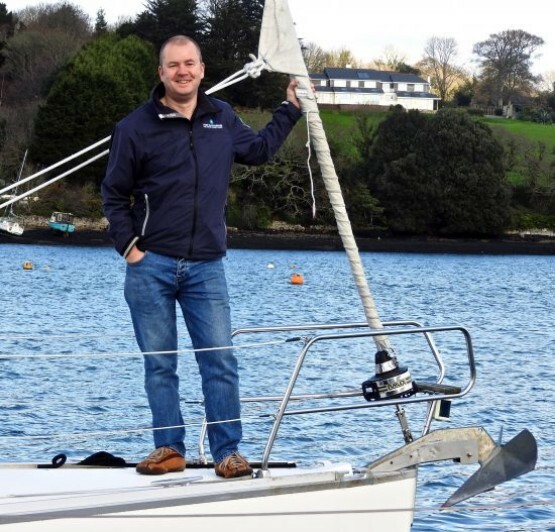 Chris, of Penzance in Cornwall, will act as an advocate to raise awareness amongst the military community and public of the service Turn to Starboard provides to Armed Forces personnel affected by military service. Speaking of his new appointment, Chris said: “I feel honoured to have been nominated as a charity ambassador with Turn To Starboard, who have helped me and many other veterans deal with the demons many of us live with by providing a sense of belonging, peace, purpose and positive goals in a wonderful environment; the sea. “Turn to Starboard offers service personnel and their families who have been affected by operations, the support, time, friendship and space they need to re-engage with themselves as people, their loved ones and, to find the strength and confidence to reintegrate with society and find fulfilling employment.